After an impressive debut in 2016, Atlanta crooner 6LACK returns with his sophomore album East Atlanta Love Letter. The 14-track LP finds 6LACK ruminating on love's many stages and the corresponding doubt, denial, elation, bliss and fear that comes with it. 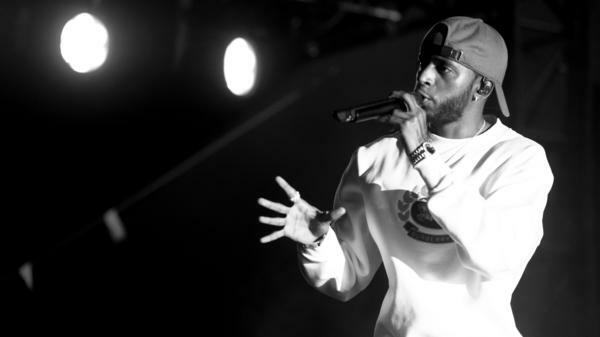 6LACK punctuates most of the songs on the album with voiceovers from people speaking about love — a large part of the album's promotion lied in 6LACK asking collaborators like Elton John, Majid Jordan and more their thoughts on love — which makes the sonic experience of the project that much more seamless and conversational. Amid murky pianos and wallowing strings, early standouts include the farewell-to-summer song "Seasons" featuring Khalid, the personal pep talk of "Let Her Go" and "Pretty Little Fears," a vulnerable reminiscence of past relationships which marks a first-time collaboration between the singer and J. Cole. "I just wanna know / Don't you sugar coat / Or say it all if you want / And could you tell me like it is? / Pretty little fears / Music to my ears," 6LACK sings, in a low hum during its chorus. East Atlanta Love Letter is available now via Interscope Records.